Rediscover over 35 of the original artists of Magic: The Gathering® reunited to create new paintings for this limited release art book. 1,509 backers pledged $149,899 to help bring this project to life. 1st wave domestic shipments: Wednesday, Sept 3rd. 2nd wave domestic shipments: Thursday, Sept 4th. If so is there tracking / do you have my tracking number? The playmats began shipping today. U.S. packages are going out first, then international. That's it for now. Figured you'd want to know! By now you should have received the email letting you know we have a survey for you. April? There was an April?! As we're into the last two days of the campaign, we're going to make this and the last art update double the length! This Kickstarter campaigns wraps in just a couple of days, and when it does Amazon payments will charge you. Oh, yeah... that 400 count stack of printed sketch cards? Art Update: Books & Dice... is it game night already? Today we bring you a little magic and a lot of dragon courtesy of pieces from Ed Beard Jr. and Michael Kimble! 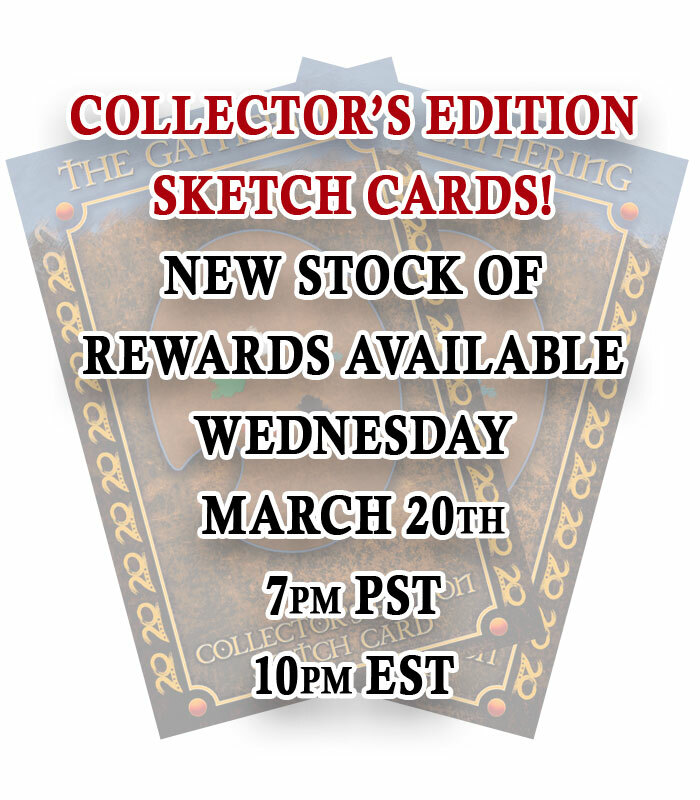 Collector's Edition Sketch Cards: Don't Say We Didn't Warn You! 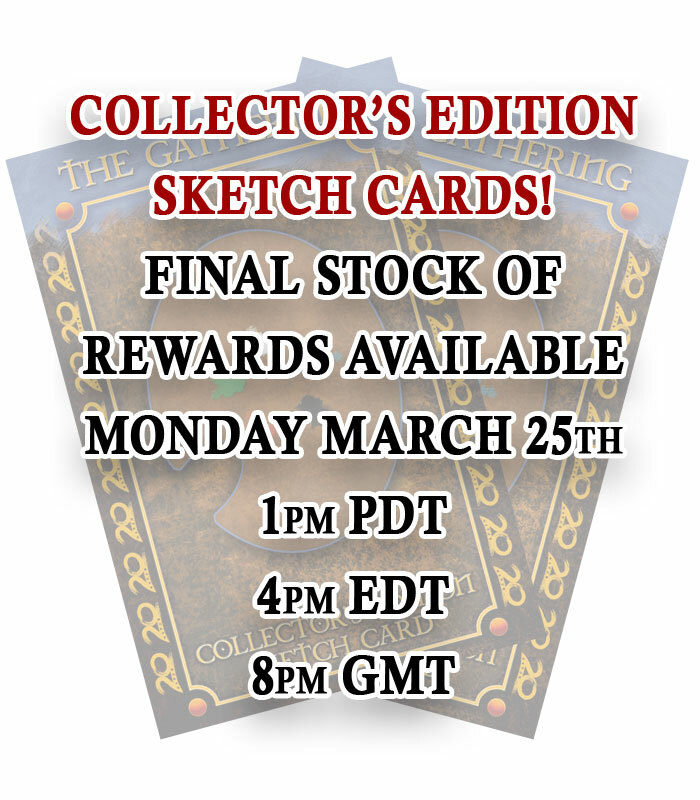 The next batch of rewards that include Collector's Edition Sketch Cards will be released on Thursday! Stretch Goal: $72,000 Unlocked! We're rounding up those wallpapers now. We'll get the link to you this week. 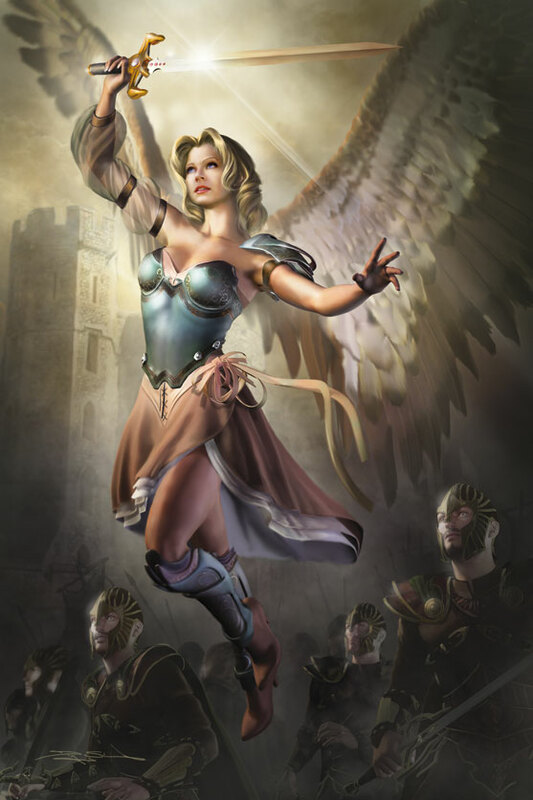 Today's art update brings a little bit of what we love about The Gathering; contrasts! This time courtesy of Sandra Everingham and Ron Spencer! 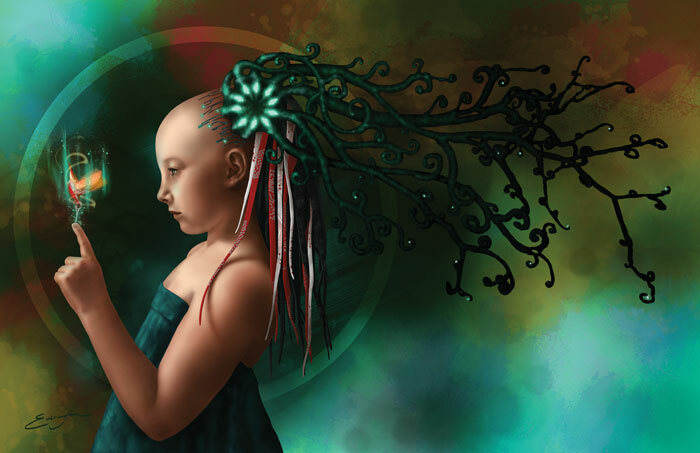 Today's art update brings us two out of this world pieces from Doug Shuler and Heather Hudson! We hit $60,000 and raised The Gathering's page count to 96. Thanks, everyone! 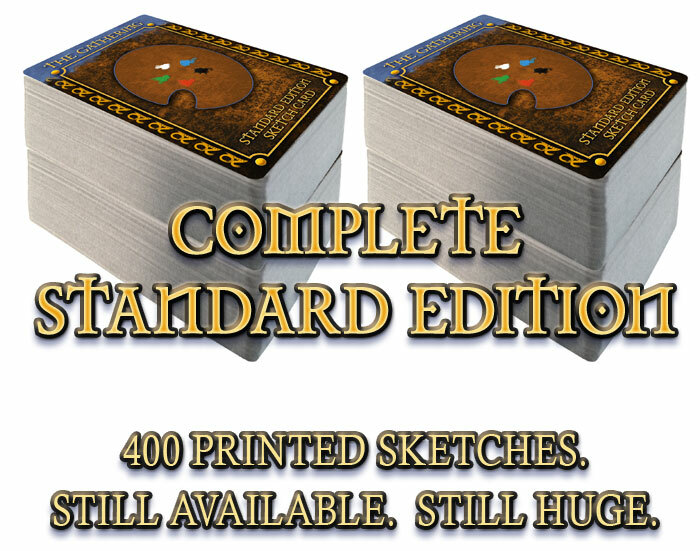 Let's get to what you've been waiting for; the new stretch goals. Thank you to all the backers who got The Gathering fully funded in 21 hours and 30 minutes. Amazing!